March 16, 2019 • 1 p.m.
Offering includes 10 Hereford yearling heifers. 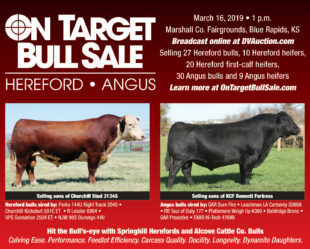 Plan to join us Saturday, March 16, 2019, in Blue Rapids for the On Target Bull Sale. 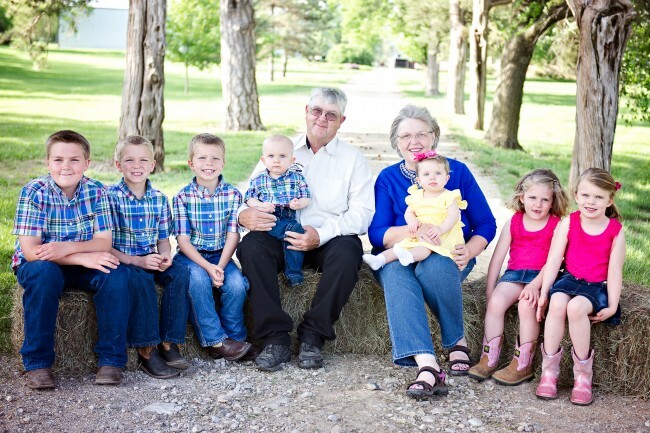 We’ve partnered with our good friends Dr. Ken and Zita Duensing of Alcove Cattle Co. to host the event. The offering will also include 30 Alcove Cattle Co. Angus Bulls and 9 Angus heifers. For more information, visit the On Target Bull Sale website. 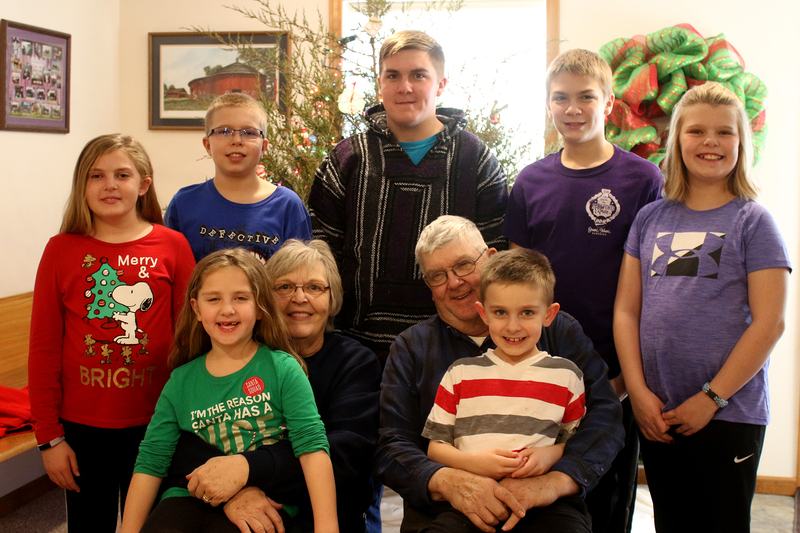 Merry Christmas and Happy New Year From Our Crew! We have enjoyed having our seven grandkids together this holiday season. We wish all our customers and friends a very Merry Christmas and a Happy New Year. Congratulations to our grandson Wesley on exhibiting the Champion Hereford Steer at the Kansas Junior Livestock Show. This steer is a son of our Herd Sire CT Thunder 14W ET. He was also Reserve Champion at the Kansas State Fair. 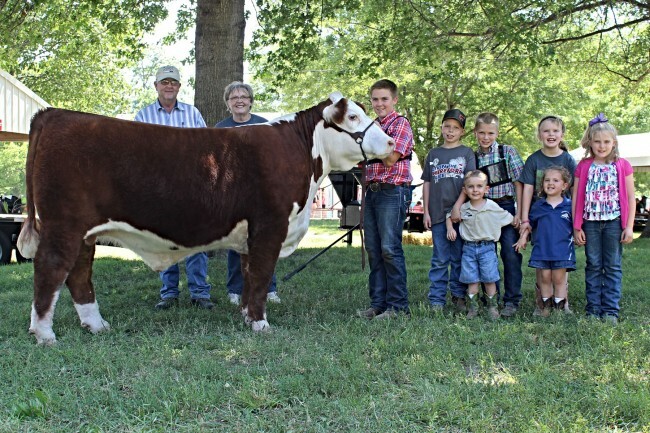 Congratulations to our grandson Wesley on exhibiting the Champion Bred-and-Owned Cow-Calf Pair at the 2018 Junior National Hereford Expo. 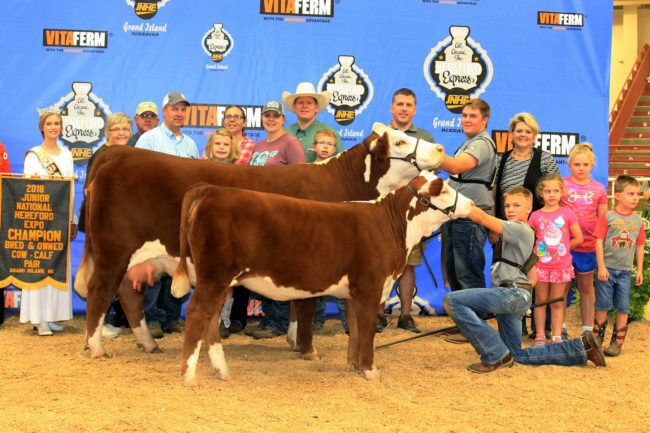 The pair was also named grand champion at Kansas Junior Hereford Show, Nebraska Junior Hereford Show and the Midwest Regional Classic in Pipestone, Minnesota. The calf was also selected calf champion at the Kansas State Fair this fall. 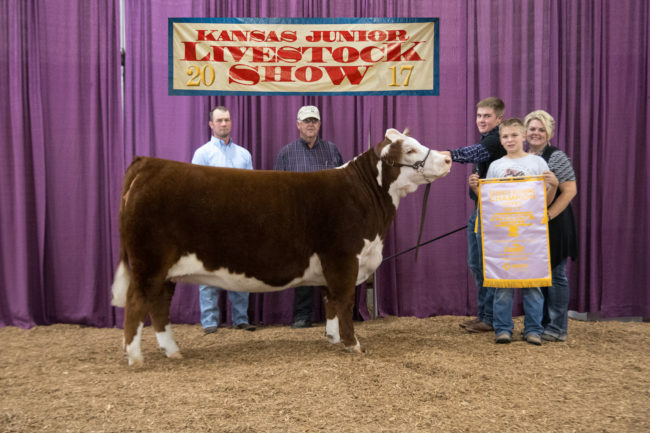 Congratulations to our grandson Wesley on exhibiting the Reserve Supreme Champion Female at the Kansas Junior Livestock Show. A total of 239 heifers were exhibited. Wesley was also selected the Reserve Champion Senior Showman. 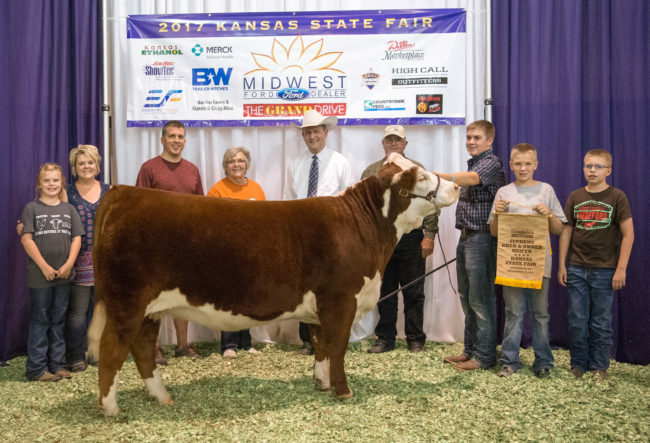 Congratulations to our grandson Wesley on exhibiting the Supreme Champion Bred-and-Owned Female at the Kansas State Fair 4-H and FFA Grand Drive. The next weekend female went on to be named Champion Hereford Female at the Kansas State Fair Open Show. 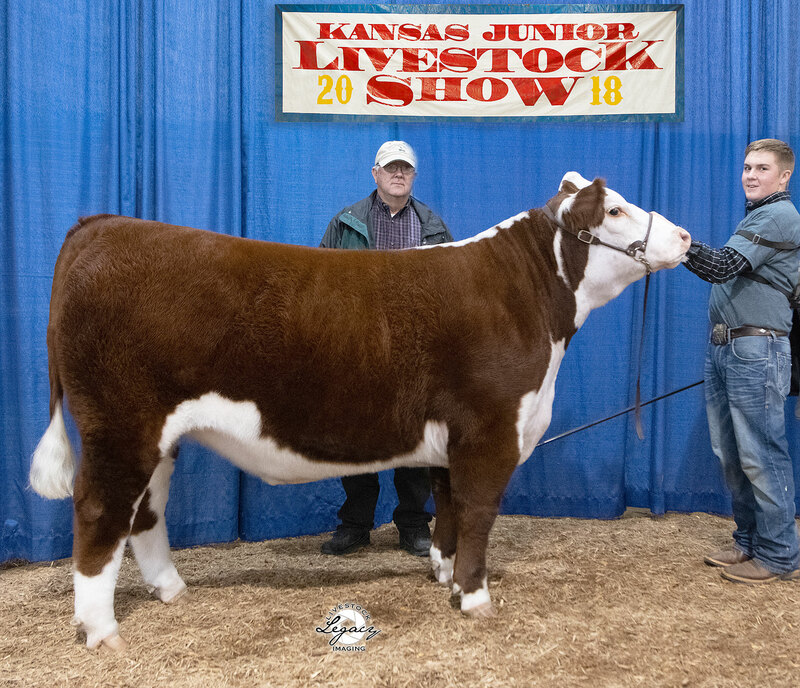 Congratulations to our grandson Wesley on exhibiting the 5th Place Overall and Champion Hereford Steer at the Kansas Junior Livestock Show. 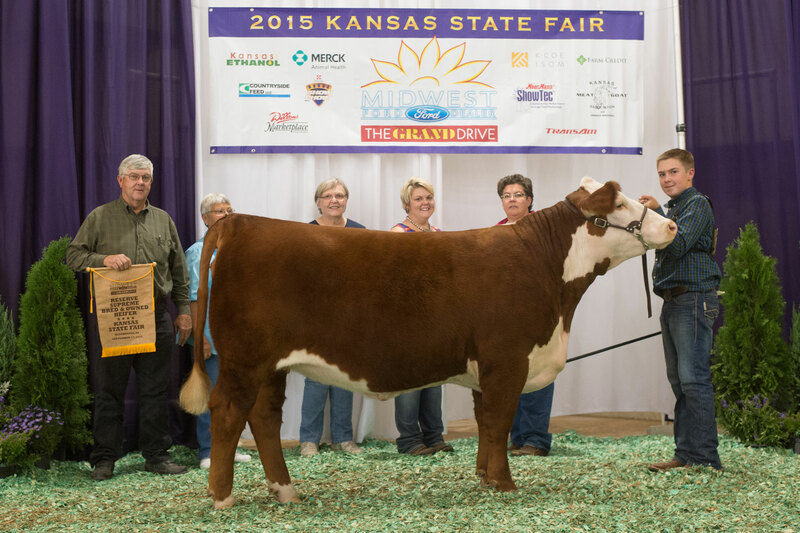 It is the first time since 1999 that a Hereford has been in the top 5 at KJLS. The steer is out of a Springhill About Time-sired cow and sired by Perks Right Track. Harold has had a great year winning champion or reserve at 10 out of 12 shows he was exhibited at. 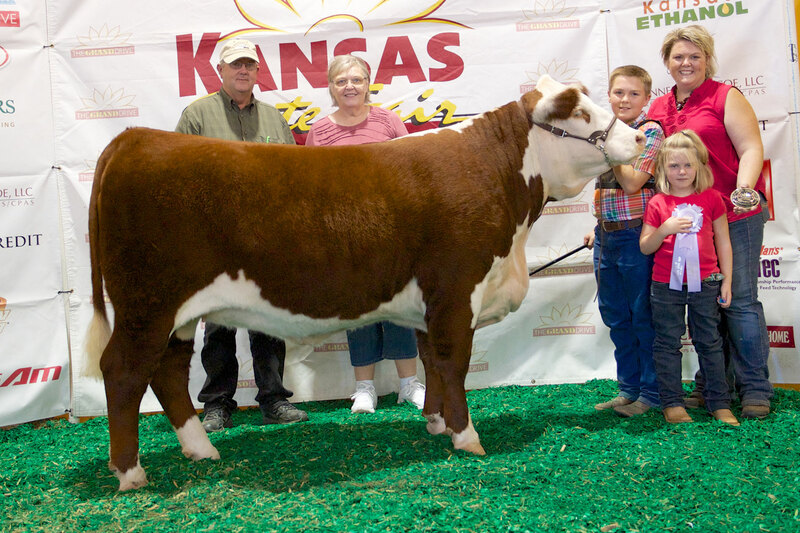 Congratulations to our grandson Wesley on exhibiting the reserve supreme bred-and-owned female at the Kansas State Fair. The female, WD MS PT Y069 B527, is a March 23, 2014, daughter of our About Time son, SH Premier Time 9067. 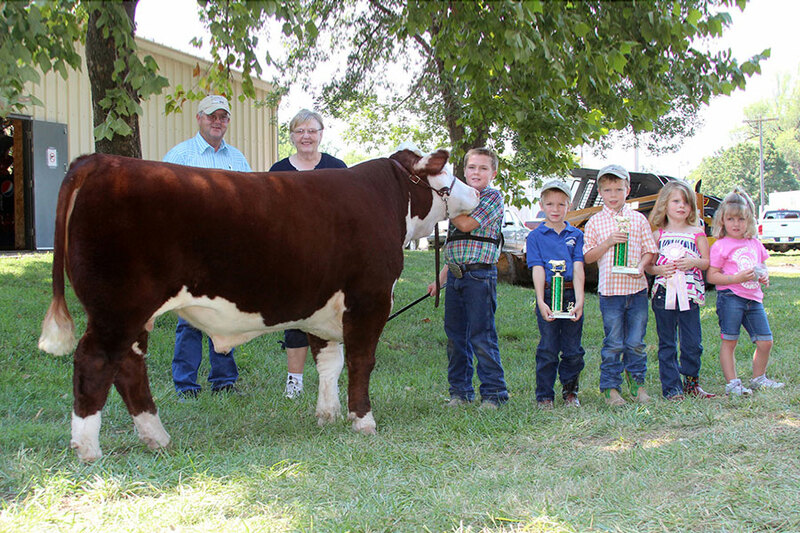 Congratulations to our grandson Wesley on exhibiting the Grand Champion Steer overall breeds and Grand Champion Female overall breeds at the 2015 Marshall Co. Fair. Both are Springhill-bred. “George” pictured below was also named grand champion steer at the Nebraska Junior Hereford Show and was reserve grand champion steer at the Midwest Classic regional Hereford show in Pipestone, Minn.
Congratulations to our grandson Wesley on exhibiting the Reserve Grand Champion Hereford Heifer at the 2013 Kansas State Fair. 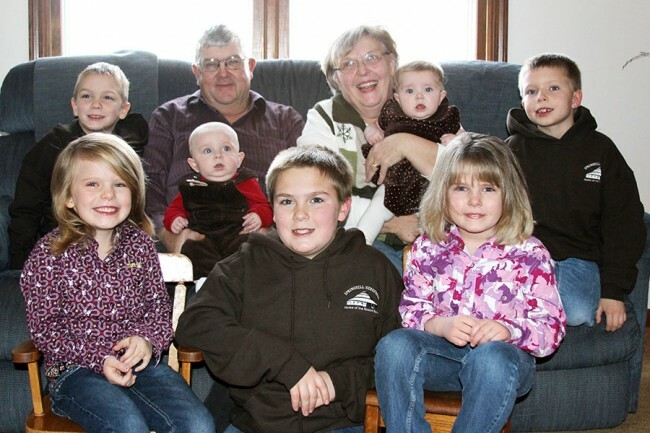 We have enjoyed having our seven grand kids together. We wish all our customers and friends a very Merry Christmas and a Happy New Year. Congratulations to our grandson Wesley on exhibiting the Reserve Grand Champion Steer at the 2012 Marshall County Fair. 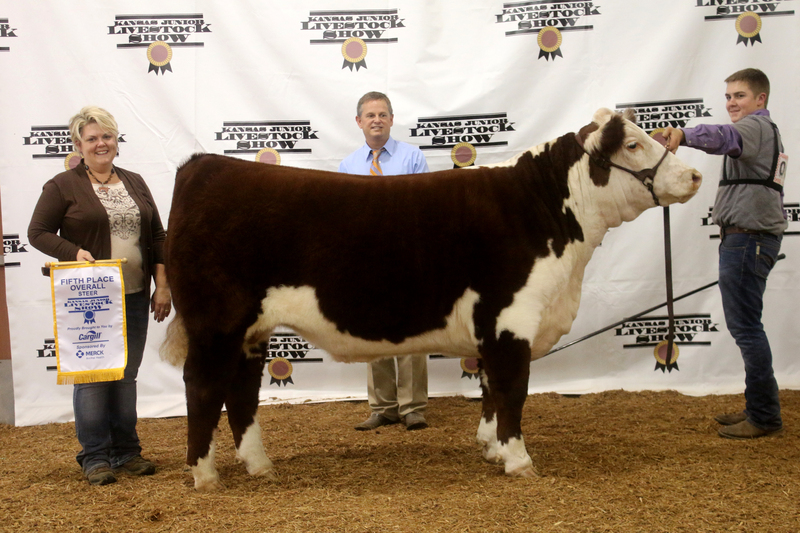 Wesley’s steer also was named grand champion at the Kansas Junior Hereford Show and won his class at the Nebraska Junior Hereford show. 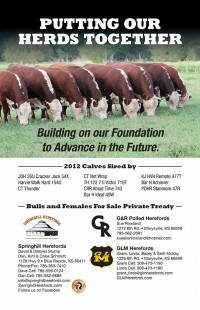 We are now marketing bulls and other offerings with G&R Polled Herefords and GLM Herefords both of Marysville, KS. With the same breeding philosophies and management plans, we will be able to offer our customers a larger group of bulls and females to chose from each year. The bulls will be housed together in Blue Rapids and will be available for inspection in early January. We also plan to produce a private treaty catalog and videos. Stay tuned.